The modified achromat series of eyepieces offer a good standard of performance in a very affordable package. 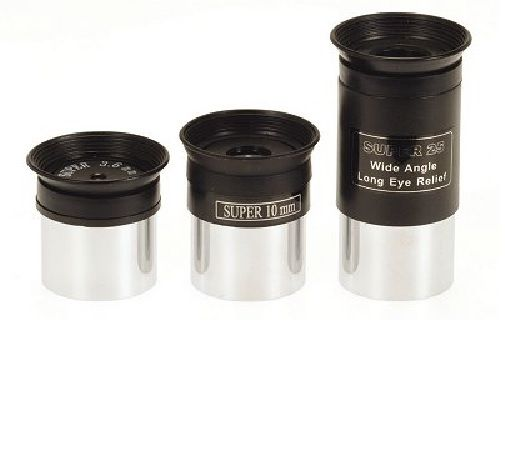 Designed for telescopes with mid-range to long f/ratio, these oculars have features usually found only in more expensive designs. These Super Eyepieces incorporate a fold-down rubber eye-shield, fully coated optics and outstanding field correction.